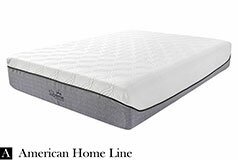 The Supreme Hybrid mattress is made with the very best sleep technology: memory foam and pocket coils. The memory foam cradles your joints and muscles, helping you ease away any tension you’re holding on to. While the individually wrapped pocket coils, provides lumbar support and it minimizes motion transfer. You’ll sleep cool and undisturbed throughout the night on the Supreme Hybrid Mattress. Hypoallergenic Bamboo/Poly Cover Made from 60% bamboo the stretch knit cover is ultra-soft to the touch. It’s a natural fiber that is anti-bacterial, anti-fungal and it resists odours. The fibers are finely woven making it easy to wick away heat and extremely durable. 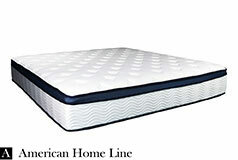 Pocket Coil Technology & Motion Support The support layer is made with 630 individually wrapped, 15 gauge pocket coils. The 22cm, deep, pocket coils compress and move independently. It provides support based on the contours of your body. The individually wrapped pocket coils is great for motion isolation. You won’t notice any movement in the bed.